Why You Should Buy Dogecoin (DOGE) Now? You are at:Home»Advice»Why You Should Buy Dogecoin (DOGE) Now? Back on December 17, 2017, I wrote an article entitled “Cryptocurrency and Leading Zeros.” In that article, I explained why buying good, well-researched, and promising cryptocurrencies with a few leading zeros in their prices promise are very good investments. But it is something and it is a lot. Permit me to explain. If you purchased – say – $200 worth of Dogecoin today, you would own approximately 20,560 Dogecoins. Now, let’s suppose a year from now Dogecoin goes up to $1.00 by December 2018 – as many predict it will – you will be sitting on $20,560.00! Conversely, let’s say that Dogecoin flops and decreases in value. Then your $200 initial investment will decrease. But here is the thing: You are an investor. Are you going to cry over a diminished $200 investment? Not a great risk, I say. You could gain in a very large way. Thus, the importance to look for and research low-cost potentially high-gain coins. First of all, what is Dogecoin? Dogecoin – which is based on Litecoin – is a peer-to-peer cryptocurrency that allows you to easily send money online. It is primarily used to “tip” or “upvote” content providers who share their content on blogs and many of the social media websites. If you like the content, you click on a link and “upvote” or “tip” the person who provided the content. 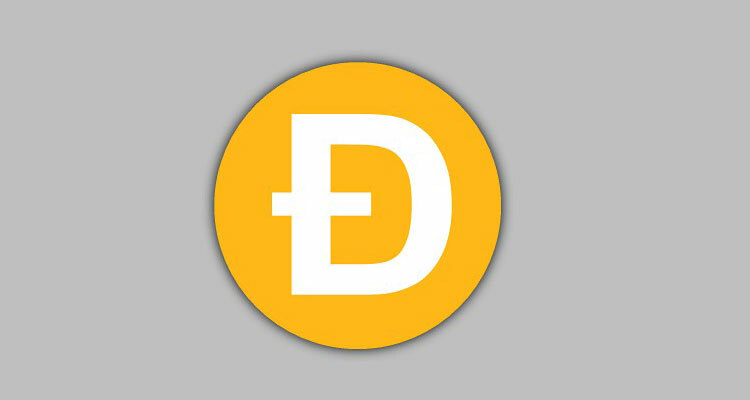 As stated above, Dogecoin about seven days ago was trading at approximately $0.00610000. Today, it is trading at $0.01010000. A 44.51% increase! Let’s play with a number here: Let’s suppose that Dogecoin does reach the December 2018 predicted price of $1. If you purchased $500 worth of Dogecoin at today’s price, you would own about 50,000 Dogecoins that could reap you a $50,000 gain by end of December 2018! Even if Dogecoin didn’t reach the $1 mark but $0.50, you still would reap you a gain of $25,000! What happens if you purchased $1000 worth of Dogecoin? You do the math. I think you get the idea. Dogecoin is currently being traded on the Bittrex Exchange. There are other Exchanges. Bittrex is the one I use and recommend. For a list of those other Exchanges, please fo HERE. I realize that many of you simply do not have money at your disposal to buy cryptocurrency. So, in the next blog post, I am going to show you a way to quickly get some FREE Bitcoin, Litecoin, and Dogecoin the very next day and every day thereafter. You need no money to start. Look for that article coming soon. Previous ArticleBitConnect, Bitcoin, and Altcoins Oh My!